For the past years, our research group has been studying the write path in storage systems, from deep down in disk drives to far up in applications themselves, and all the layers in between. We have found (surprisingly) that the straightforward act of writing to disk is not as simple as it might sound, and leads to numerous correctness and performance problems in modern systems. In this talk, I will present a sampling of our work and address some of the larger meta-questions, such as: Why is getting write right so challenging? How often do such write problems arise? How should we re-think how we build storage systems to avoid these problems by design? Also, if there is time, I will briefly speak about our experience with FOBs (Free Online Books). We have a free online operating systems textbook (www.ostep.org) whose chapters have been downloaded millions of times, and think that we have found a new and excellent way to "publish" textbooks in computer science and other fields. Remzi Arpaci-Dusseau is a full professor in the Computer Sciences department at the University of Wisconsin–Madison, where where he has taught for 15 years. He co-leads a group with hisq wife Andrea Arpaci-Dusseau; their work focuses on systems (broadly) but with a special emphasis on file and storage systems. They have graduated 15 Ph.D. students in their time at Wisconsin, and some of their innovations, including block-level storage introspection, transactional checksumming, fast file system checking, now ship in commercial systems and are used daily by millions of people. Remzi also cares deeply about education, and has won the SACM Student Choice Professor of the Year award four times and the Carolyn Rosner "Excellent Educator" award once. Chapters from a freely available OS book he and his wife co-wrote, found at http://www.ostep.org, have been downloaded over 2 million times in the past few years; the book is in use at numerous institutions around the world. Remzi is also an active participant in the systems community, having served on numerous program committees, as well as co-chair of USENIX ATC ’04, FAST ’07, OSDI ’10, and SOCC ’14; he is also currently an associate editor for ACM TOCS. Remzi has been a NetApp faculty fellow, an IBM faculty award winner, an NSF CAREER award winner, and has consulted for numerous storage companies including NetApp, Fusion-IO, and Huawei. Remzi also has been a visiting professor at the University of Michigan, EPFL, and Stanford (currently), and a visiting scientist at Google (also currently). Remzi also serves on three advisory boards (Samsung DS CTO, Wisconsin OIP, and a stealth startup). Software industry invents a significant new platform about once every decade. I will share with you the basic principles of context-aware computing, and talk about Context Engines and Context Data Handling. This will lead into a technical discussion of how information versus technology ratios need to change in order to support the next wave of technology for context analytics and context-mediated transactions. We will talk about the nature of the workloads and how memory and storage technologies need to evolve. I will present the work we at SanDisk Technology Council are doing in this area and would like to invite you to innovate with us in inventing the future. Pankaj Mehra is Senior Fellow at SanDisk Corporation, where he chairs SanDisk Technology Council. Previously, Dr. Mehra was SVP and CTO at enterprise flash technology pioneer Fusion-io, and before that at Whodini, an e-mail analytics company he founded. 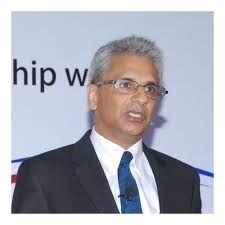 Appointed a Distinguished Technologist at Hewlett-Packard in 2004, for his groundbreaking work on persistent memory, Pankaj went on to found HP Labs Russia where he was Chief Scientist until 2010, and where he incubated Taxonom.com, a cloud service for automatically creating ontologies from queries, document collections, and examples. He previously served in various research and teaching positions at IIT Delhi, UC Santa Cruz, and NASA's Ames and IBM's T.J. Watson Research Centers. Pankaj’s 48 filed patents, 29 papers, and 3 books cover a range of topics in scalable intelligent systems, and his engineered systems have held TPC-C and Terabyte Sort performance records, and won recognition from NASA and Sandia National Labs. Of his three books, two are on Machine Learning and co-authored with Ben Wah at University of Illinois; the third, coauthored with John Wilkes, et al., is titled Storage, Data, and Information Systems. Pankaj volunteers at MMDS Foundation as their industry liaison chair, and previously served on the editorial boards of IEEE Internet Computing and Transactions on Computers, and on numerous program committees ranging from SuperComputing to International Semantic Web Conference.